Finally! 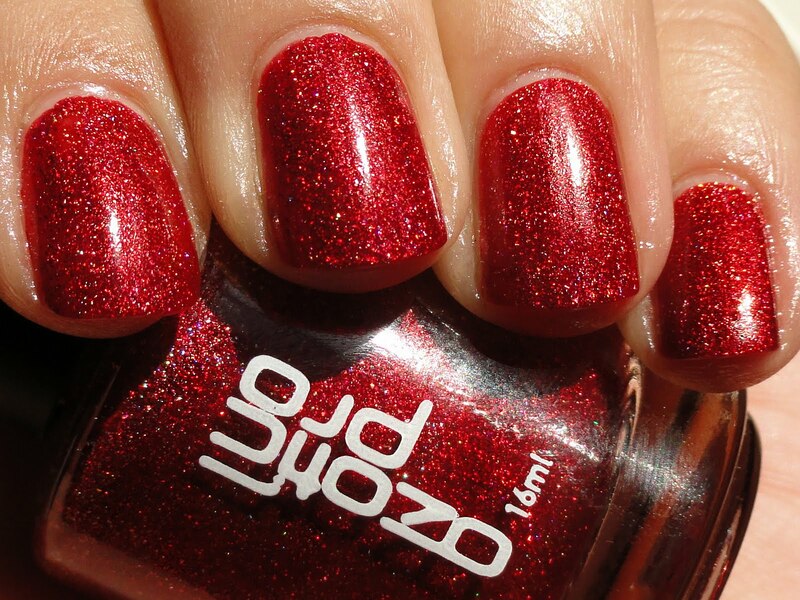 A red holographic polish! This is a big deal my friends. A true red holo is hard to come by, I'm told the pigments don't work well together. 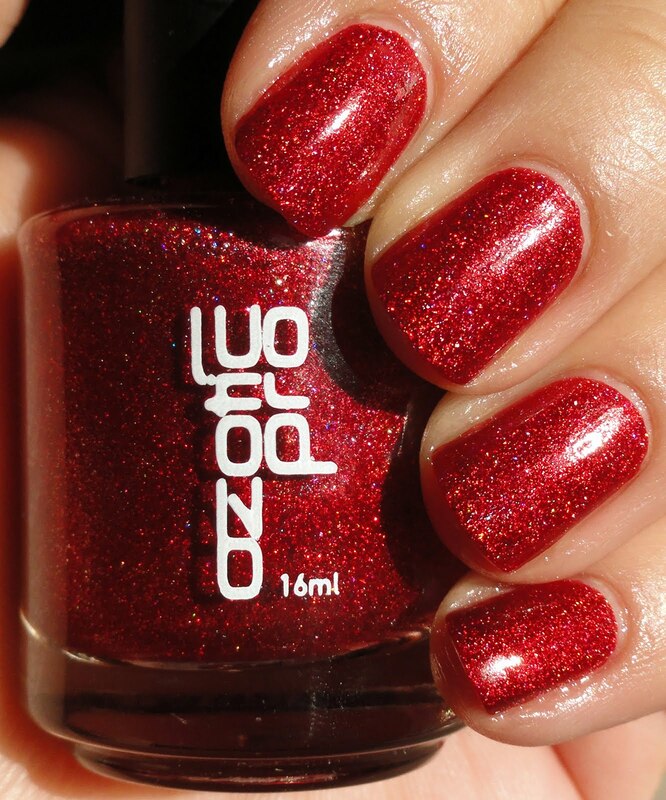 621 is the most holographic red that I've ever seen, it's so fun! It's not a straight linear, more scattered, but it's holo particles are large which I like a LOT better than the ones with smaller particles. I was lucky to be given this gorgeous polish as a gift from a secret friend, love you! And this is my first Ozotic Pro, an Australian brand that is famous for their awesome multi-chrome polishes. This is two coats of hotness. P.S. Can I just tell you that I love my nails right now? This picture was taken yesterday afternoon and I've been obsessing over the shape and size of my nails lately and they're finally starting to look how I want them to haha. Watch, now I'll probably break three of them haha. KNOCK ON WOOD!